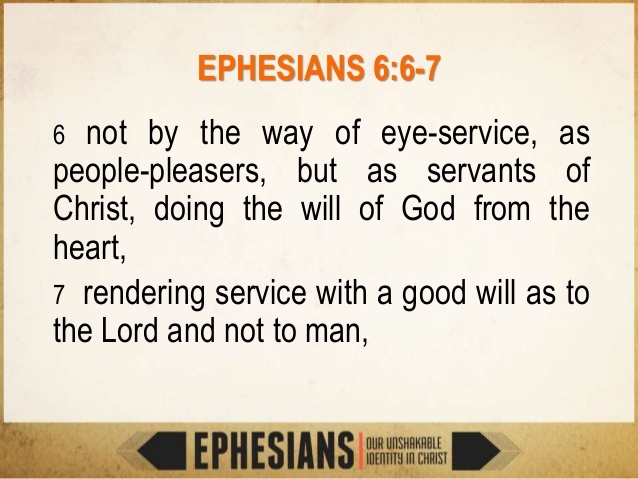 As the servant of Christ, doing the will of God from the heart. If you truly love someone, you seek to please that person; to make that person happy. The same is true with our Lord and Savior, Jesus Christ. He confirms this when He said, if you love me you will keep my commandments. If we do God's will as it is revealed to us, then we will develop spiritual maturity in judging sound doctrine. This will prevent us from being deceived by false teaching. Knowing God’s will is a serious matter for those who desire to live the abundant life and avoid chastisement. Ø Submission to the will of God results in success. And he shall be like a tree planted by the rivers of water, that bringeth forth his fruit in his season; his leaf also shall not wither; and "whatsoever he doeth shall prosper." (Psalms 1:3). In a world filled with failure and defeat, knowing and doing the will of God is the secret to successful living. 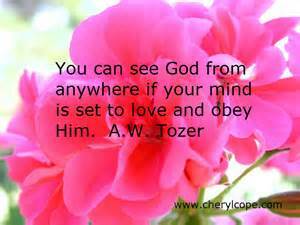 Above all, we should be motivated to do God's will because we love Him.